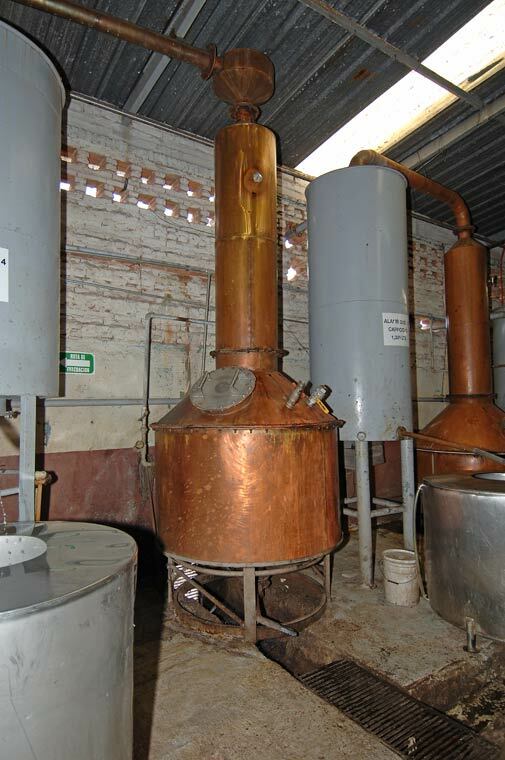 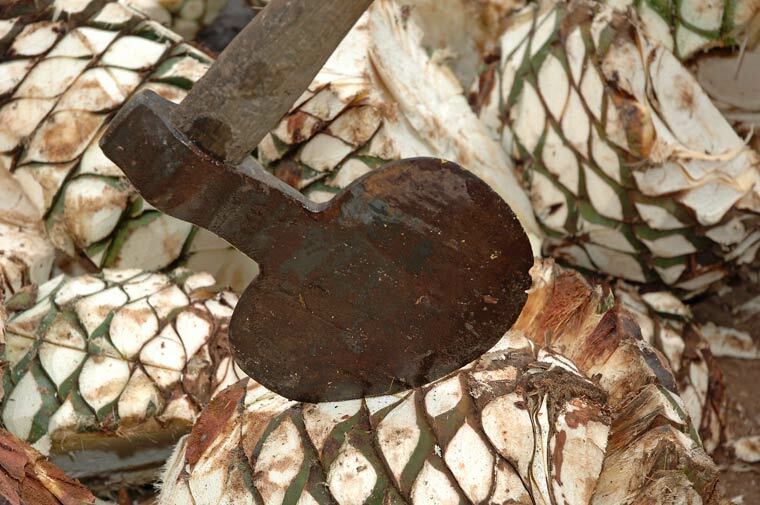 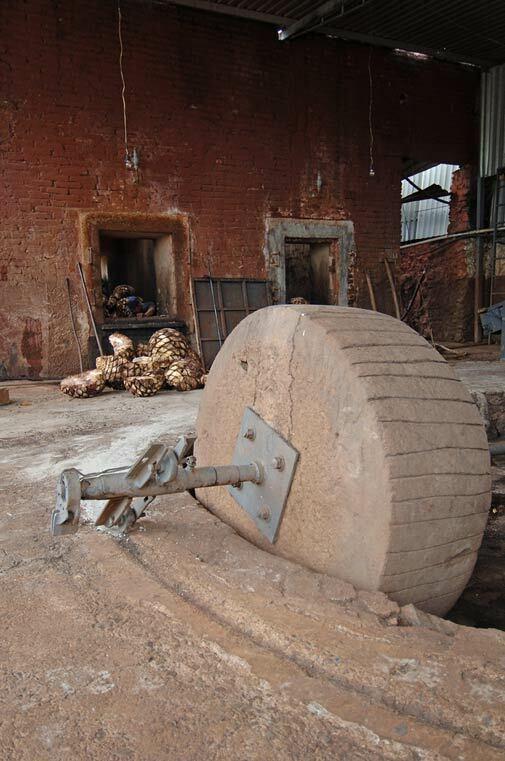 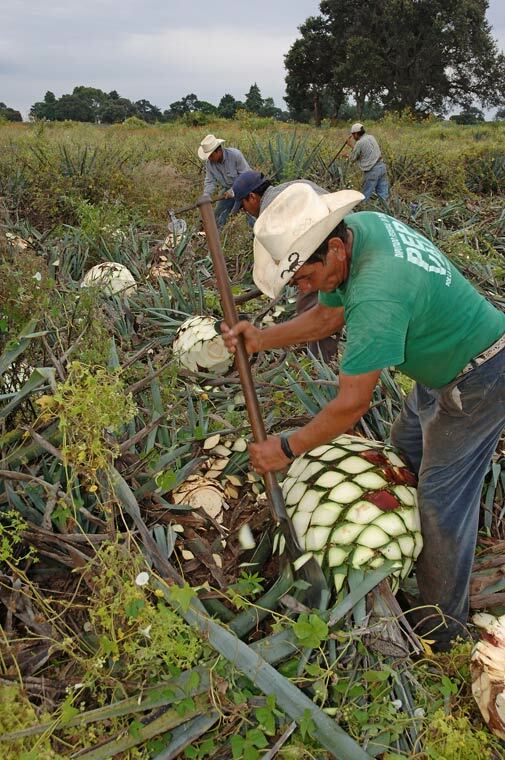 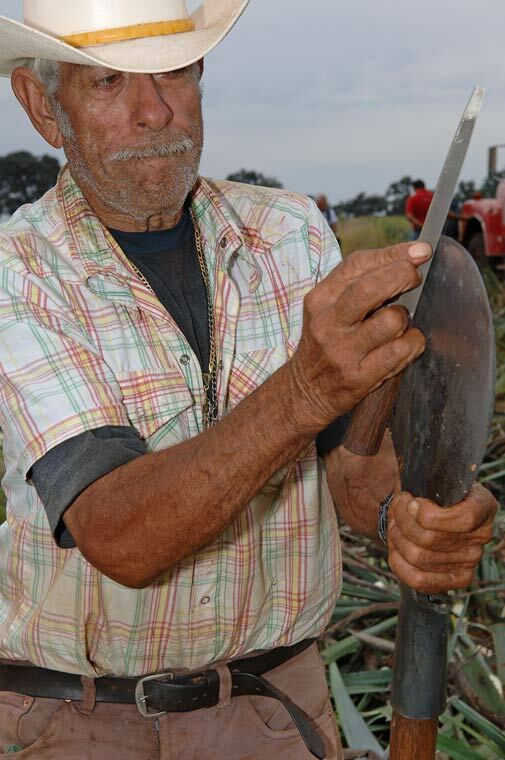 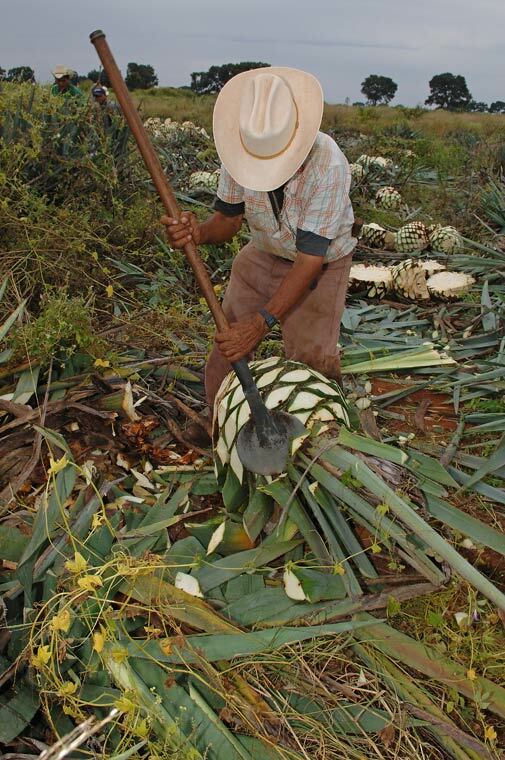 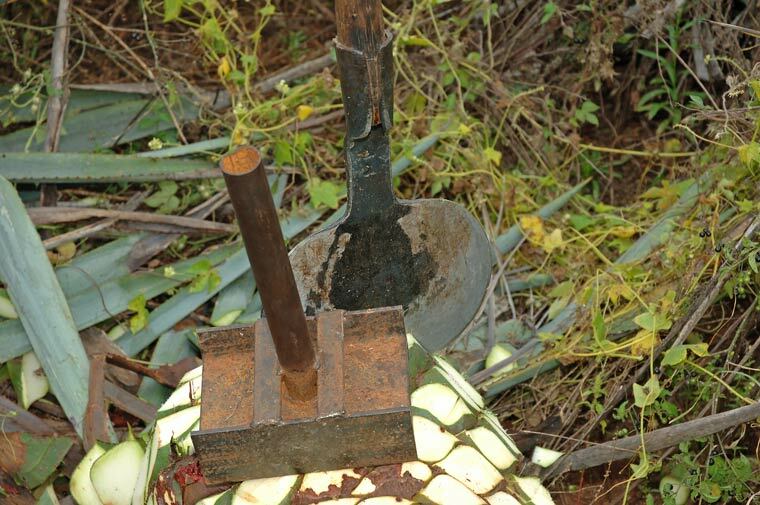 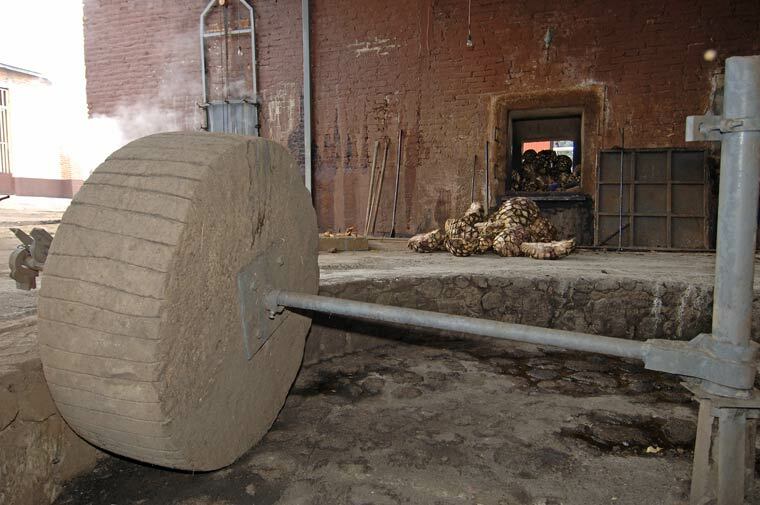 Hacha - an axe or hatchet used in the harvest of agave hearts. 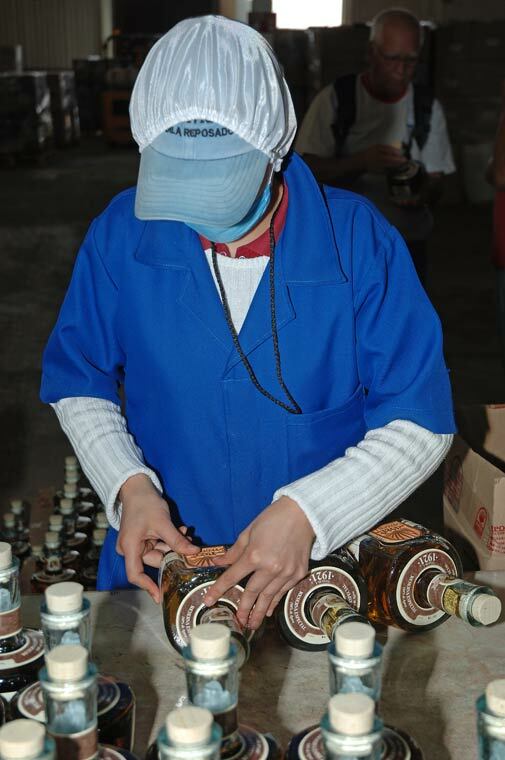 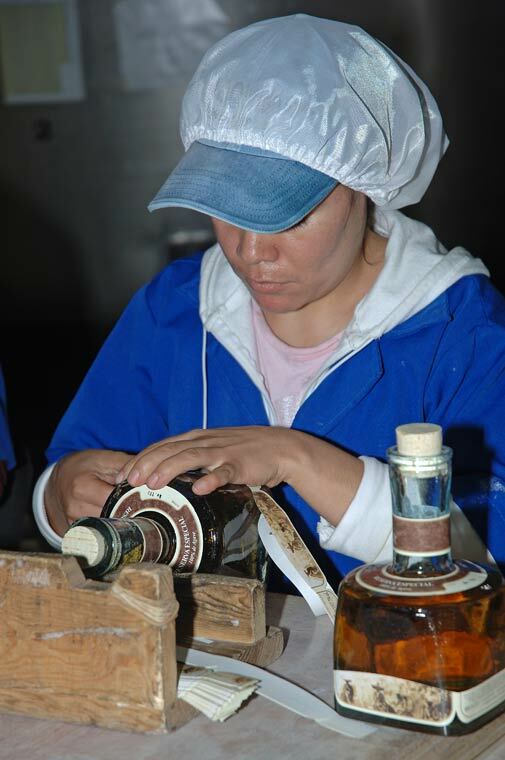 Labels are applied to bottles of 1921 Tequila by hand, then inspected, to insure the best quality control. 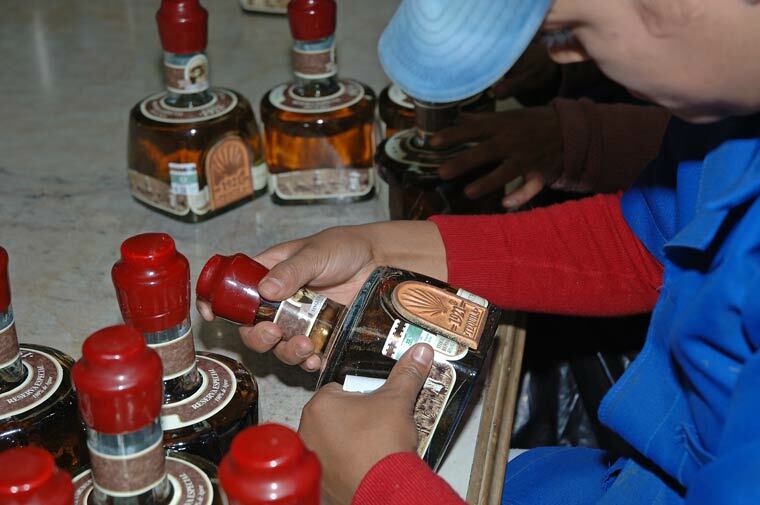 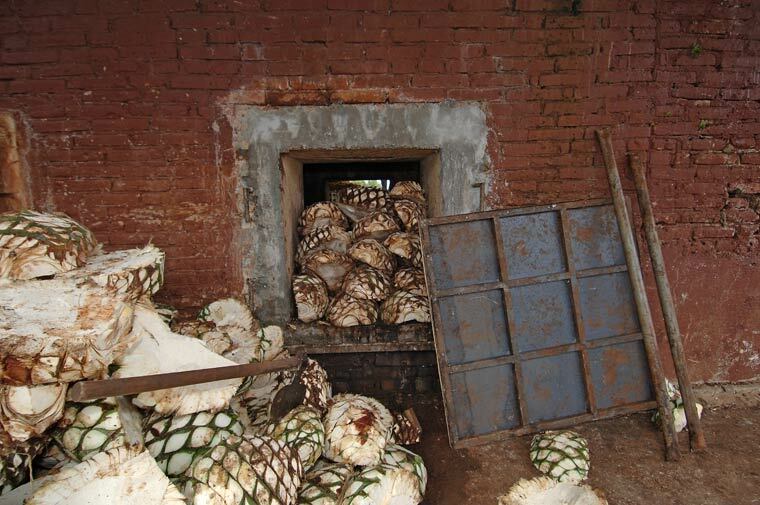 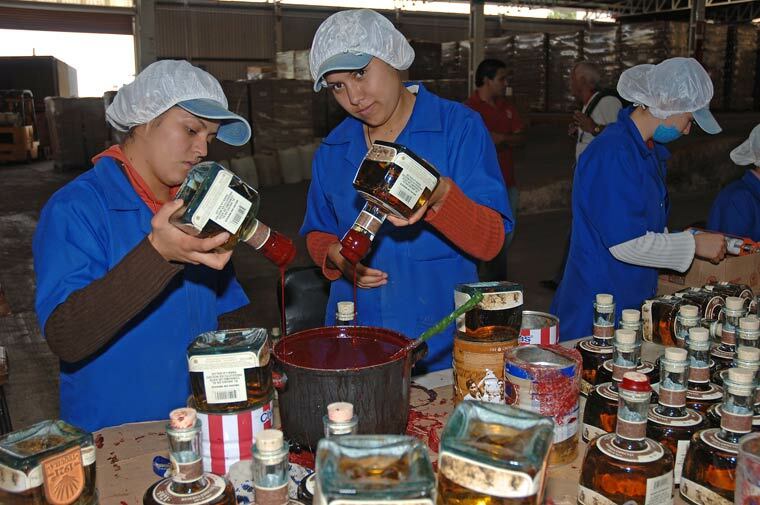 Bottling, labeling and packing of 1921 Tequila is done by hand.